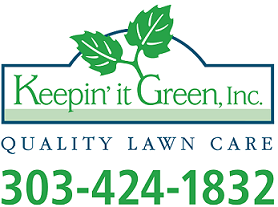 Landscape Drainage - The Do's and Dont's - Keepin' It Green Inc. Many home owners are overwhelmed with problems of proper drainage. When the heavy rains come their yards become lakes causing many issues such as grass and plants dying from too much water, water entering their homes through wet holes or other areas where there is access, and just not being able to enjoy their property until the water dissipates and even then it is a mud hole. These situations become tiresome and many of the owners look to contractors for a solution to fix the problem. In a perfect world where everyone is honest and all the people that have companies are experts in their field this would work out fabulous. Unfortunately we do not live in a perfect world and their landscaping contractors that either one do not know proper drainage techniques or two try to do the job cheaper because the customer wants a better price or the drainage contractor is trying to make more money. This article is to inform you so you will know the convergence and try to avoid them First and foremost you must have positive grade on your property meaning that if you are putting a drain system in your backyard then the backyard must be higher than where you want the water to drain (most of the time the street). How much higher the backyard needs to be depends on the length of the drain system due to have proper slope you must have one inch of drop per ten feet of drain pipe so if you are installing a hundred feet of drain pipe than you need the street to be ten inches lower than where you place the first drain box (Catch Basin). If you do not have the slope needed than this is when you must look in to other options such as, bringing in soil and raising the backyard (only when you have enough foundation showing, you do not want to raise the ground higher than the foundation you need at least one inch showing at all times), draining into a pump pump box and pumping the water out (this option requires electricity and a much larger drain box where the pump will be located), and the final solution that I will mention is installing a series of 30 gallon landscape drainage basins and having the drains through the yard drain into them. The last option requires a hole twice the size of each drain drain that you will be installing because to ensure proper landscape drain you must install pea gravel around the drain basin so the water can see out. These solutions are usually only used in worst case scenarios situations but I wanted you to know the true options that are available that work. In most cases where there is a landscape drain problem and let's say there is only five inches of slope when you need ten inches a good drain expert can install a drain that will work by creating a slope from the back yard to the front then leveling out to the street because water that is level still flows but not as fast. They will also be able to incorporate your downspouts from your gutter into the system so that the head pressure (the water pouring down the downspout from the roof) will help push the yard drainage water out. These are options that a good drain contractor will be able to see, and then he will be able to let you know which drainage option will work best for you. Now let's say you have enough slope to do a regular drain system in your yard. The question than is what a regular drain system consist of? A regular drainage system consists of catch basins, fittings and pipe. Let us look at drain catch basins first there are many type of catch basins that drain contractors use and all but a few are in accordance with good landscape drainage practices. One approved type is concrete basin which these are used in residential and commercial applications the residential will usually start out as 10 inches by 10 inches and normally have metal grates. They are well constructed but can be an eyesore in a beautiful landscape. Next you have the plastic drain basins these are made by a number of different companies and most of them are built to last a lifetime. These Drainage basins come in many different shapes and sizes but we would not suggest you go any smaller than 9 inches by 9 inches for the yard drain basins and 6 inch round for the garden drain basins. This type of landscape drainage basins are normally the ones used by the drain experts because they are more versatile and easier to work with. These drainage basins come with different grates (Tops) for different applications flat green grates for the grass and black flat grates for others in stone or flower beds. The grates also come in atrium grates which are grates that are built higher like a dome shape to allow water to flow if the bottom of the grate gets clogged. If you clean the grates after each storm there will be no need to install atrium drain grapes as they are unsightly in the landscapes because of domed shape but you might want to consider them if using them directly in the flower beds to keep mulch from clogging drains. Some drainage experts but very few prefer to build their own catch bases out of brick and mortar this too is an acceptable practice and sometimes can be used to get slope on the pipe in cases where every inch counts because the slope of the land is very minute because this will allow the pipe to be raised to where they need it and a few inches at this point can mean the difference between a successful drain or unsuccessful drain. Always make sure that the drain contractor is using actual drain catch basins and not sticking a four inch grate on the end of a fitting. This brings us to proper fittings to be used in backyard drainage systems. The more fittings used in a drainage system or as many know as French drains (which we will discuss in this article and more in-depth in a future article soon to follow) will slow down the water so an ideal system is using the least amount of fittings as possible. The fittings used in a drain system include a 90 ° long and short, 45 °, 22 ° °, Y's, and T's all these fittings come in different material for the different types of pipe which we will discuss next. Even though they sale short and long 90 ° 's the long 90 ° is the only one that should be used and is the only one a drain expert will use. I myself prefer to use two 45 ° separated so to slow the water flow as least as I possibly can. The suppliers also sell T's but they are not approved fitting in a lawn drain system unless they are being used as a clean out access which is only needed if you have an extremely long run without a drain basin for access. The Y's are the only proper fitting to be used by the drain expert to connect another pipe into the main drain system. All of the other connections can be used but always try to find the straightest route possible. The Final material in a system which is also one of the most important is the type of drain pipe. There are several types of drain pipe that are used in drainage systems such as Schedule 40 (The thickest), SDR35 (The next step down), and Sewer pipe (Thin Wall), and corrugated pipe. The only two that are considered correct installation practice by the drain experts are schedule 40 and SDR35 all others are the cheap way out and come with expensive consequences later on. The SDR35 pipe is the norm and follows by all of the drain experts because schedule 40 is considered overkill. If you choose to do a drain system and not use the approved pipe a few years from now you may have to redo the whole system. The first of the unapproved options sewer pipe is thin and very easy to crack under pressure from roots or future digging. Once the pipe breaks dirt and roots can get into the pipe and cause the system to get clogged and no longer function as it should. Corrugated pipe which is a black flexible pipe can and will hold dirt in the ridges and after the years will get clogged with dirt slowing down or stopping the whole drainage system or another problem that can occur is a root can grow underneath it and since it is flexible will cause the pipe to raise and stop the flow of the drainage system. All of the above scenarios will cause the system to be dug up and redone which can become very costly. Installing a drain system is a big project and one must research the correct procedures to pick a drain expert that will do it right the first time and stand behind his work. I pray that this article has helped you in your quest for knowledge so that you can be informed.